Often, the time many employees spend sitting in a car or on public transit feels wasted. It significantly cuts into their day, limiting the amount of time they have to be productive at work or spend with family or friends. The more an employee is frustrated by a long commute or other external factors affected by that commute, the more adverse the effects on their job satisfaction. Additionally, adding a longer commute to their day can have an impact that mimics a pay cut. One study showed that an additional 20 minutes spent commuting has the same negative effect on job satisfaction as a 19 percent reduction in wages. Would you be more likely to leave a job if you had to take that pay cut or the longer commute? At times, taking a job with a longer commute may be worth it because the pay rate is higher. If the idea of making more money is enticing, then it may be worth the longer commute to some employees. However, one has to wonder if the increased time spent on the road may offset the benefit of a higher salary. Multiple studies suggest that a commute can actually be a bigger source of stress than the job itself, in addition to increased travel costs to cover the longer distance five days a week. It’s important to note the negative effects of a long commute are usually only associated with driving or using public transportation, like buses or subways. Individuals who walk or bike to work may not experience the same fall in job satisfaction, possibly because, since the activities are a form of exercise, they feel somewhat productive. While biking or walking to work may not be an option, finding methods to increase productivity on your commute may help restore some sense of contentment. For example, using the time to listen to podcasts or audiobooks may help if you derive enjoyment from the experience or find the material educational. How Does Your Commute Impact Your Work in Los Angeles? If you are contemplating a job offer, it is important to consider the potential impact of any change to your commute before accepting. A longer one may harm your job satisfaction while a shorter one may improve your sense of wellbeing. 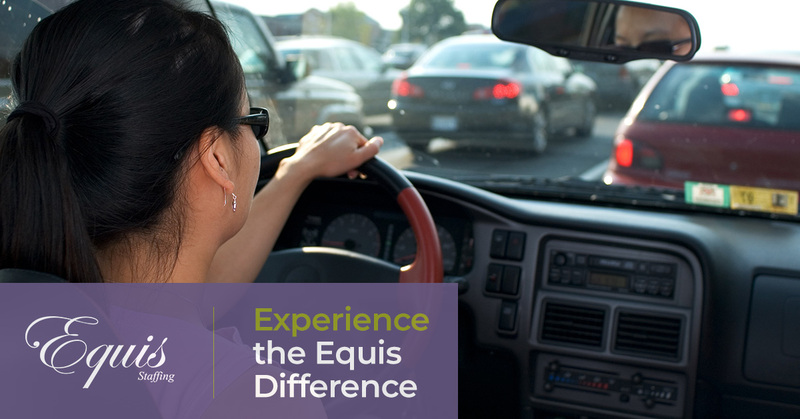 If you are ready to find a new position with a more efficient commute, the professionals at Equis Staffing can connect you with exciting employment opportunities throughout the Los Angeles area and the Silicon Beach. Contact us to discuss your career goals with one of our experienced recruiters today and see how our services can help you find the ideal role quickly and efficiently.